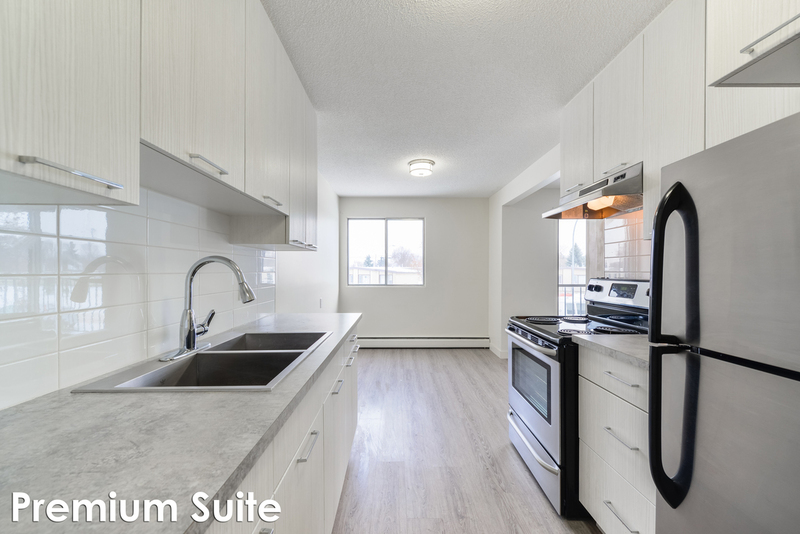 This upgraded family friendly low-rise is conveniently located in the neighborhood of Calder, Northwest Edmonton. Surrounded by conveniences such as Kensington Centre, Schools, and the Grand Trunk Fitness and Leisure Centre. Call Terrace Garden Estates your next home. Receive up to $3,480 OFF on select suites. The neighborhood of Calder is within walking distance of many great conveniences such as Kensington Centre, Elementary schools, Calder Public Library, Athlone Park and the Grand Trunk Fitness and Leisure Centre. A short commute to Northgate Centre. Easy access to major roads like 137th Avenue and The Yellow Head Highway. Small pets are permitted with a $25 monthly pet fee (per cat) pending approval of pet application.